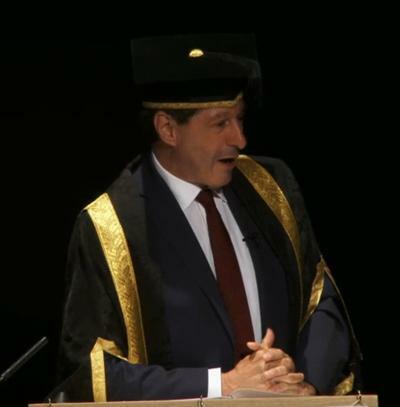 As Pro-Chancellor, Southampton graduate Jon Sopel presides over university graduation ceremonies. For Jon Sopel, the opportunity of leading graduation ceremonies at the University of Southampton is a welcome distraction from the White House ‘bubble’ he’s become used to in recent years as the BBC’s North America Editor based in Washington, DC. Sopel, himself a Southampton graduate with a BSc in Politics and Sociology (1981), is now Pro-Chancellor for the University presiding over graduation and playing an active role in the institution's future development. In the days leading up to the 2018 summer ceremonies, he was on the trail of Donald Trump during the US President’s visit to the UK before attending the summit in Helsinki between President Trump and Russian leader Vladimir Putin. Just 24 hours later, Sopel was donning ceremonial robes in Southampton, preparing to offer his congratulations to hundreds of graduates during seven ceremonies over three days. “You can live in the rarefied world of being in the White House bubble with security passes and secret service agents but to come back to this university – where I had such a great time – and to see all of those fantastic smiling and excited faces full of joy is a real thrill,” said Sopel. “My schedule is pretty busy, travelling the world with the President of the United States and all that goes with that, but it’s very important to carve out this time and come back to Southampton to do these graduation ceremonies. Addressing the graduates, their families, friends and other supporters during the ceremonies, Sopel spoke of his near disbelief at standing in front of them as Pro-Chancellor after such a varied and successful career since his own graduation day. All of the University of Southampton’s 2018 summer graduation ceremonies will be streamed live then available afterward online. Click here to join in this year’s celebrations. 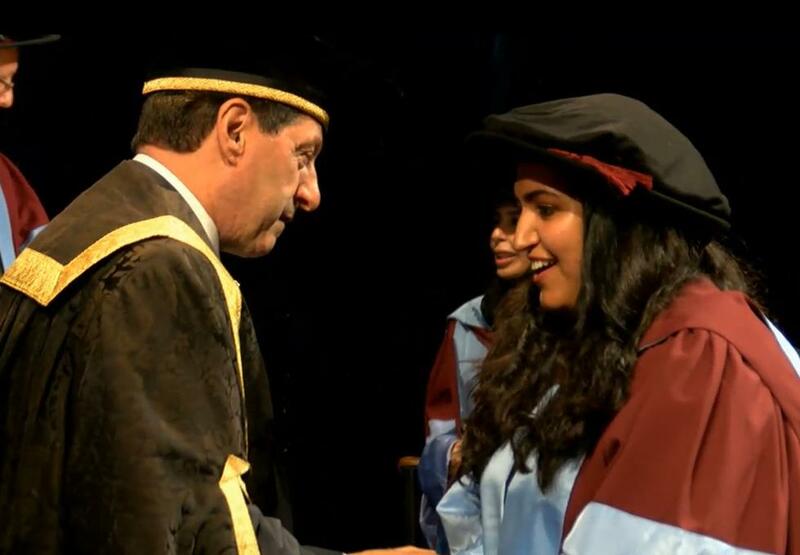 Jon Sopel congratulates PhD graduate Fatima Akheel during ceremonies in Southampton.